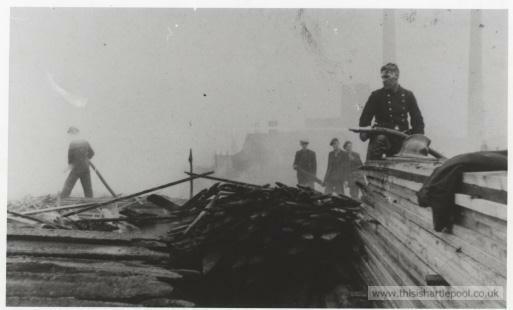 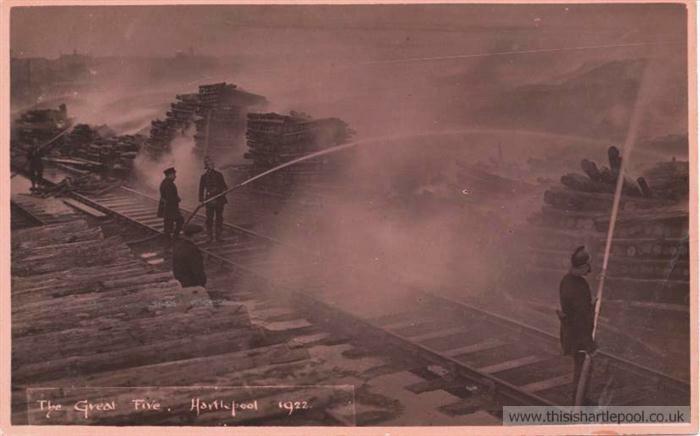 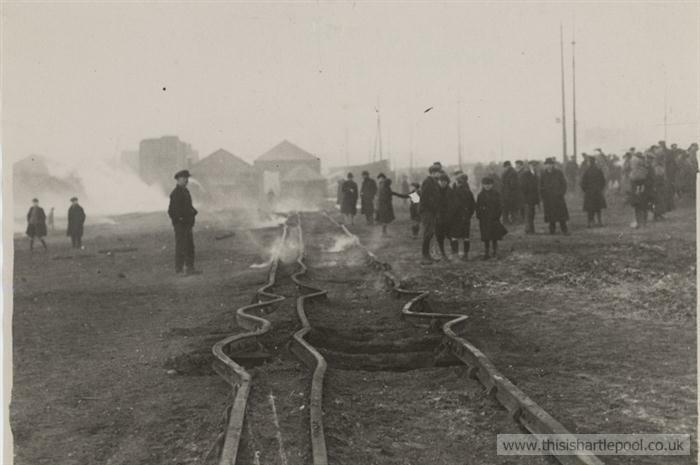 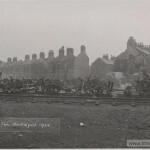 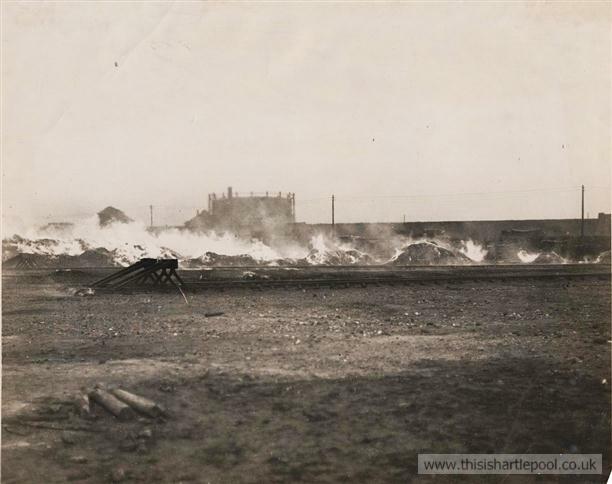 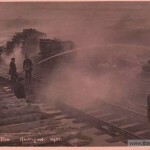 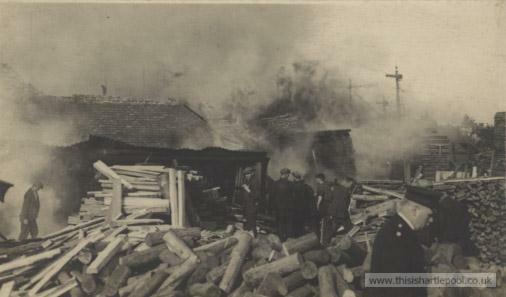 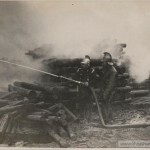 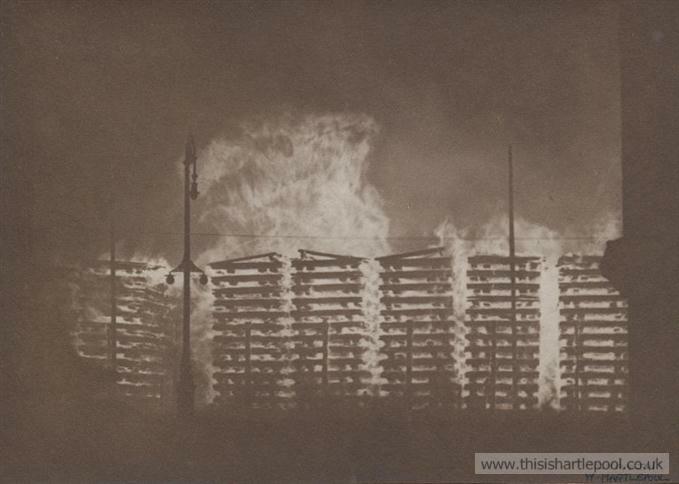 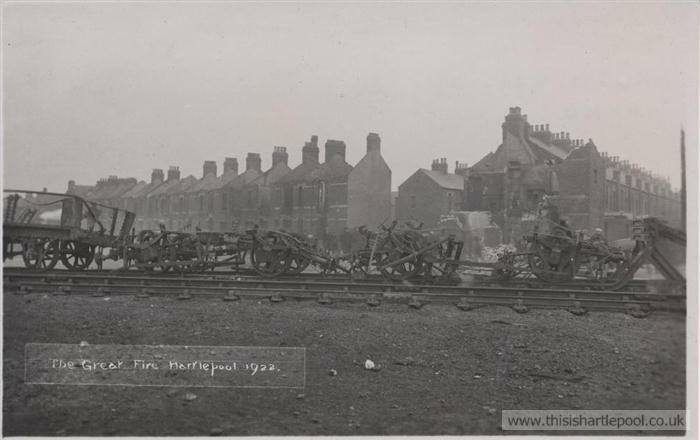 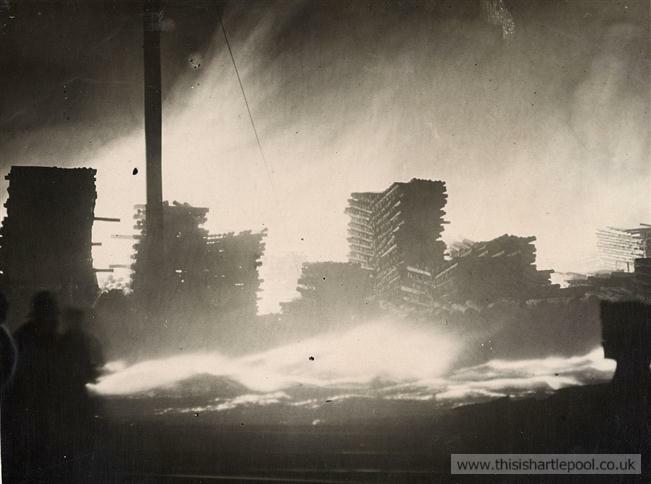 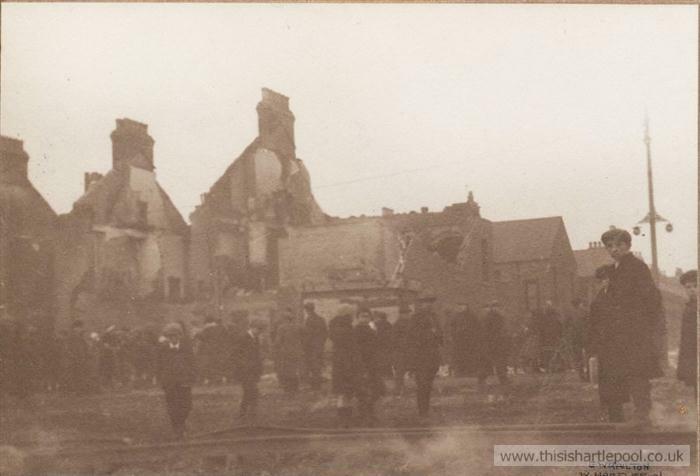 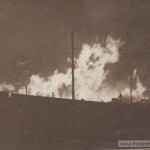 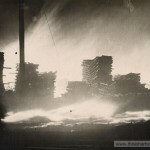 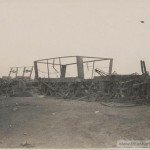 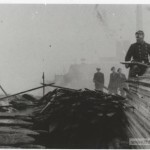 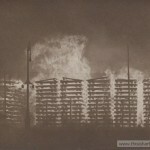 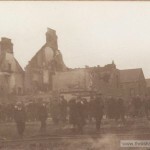 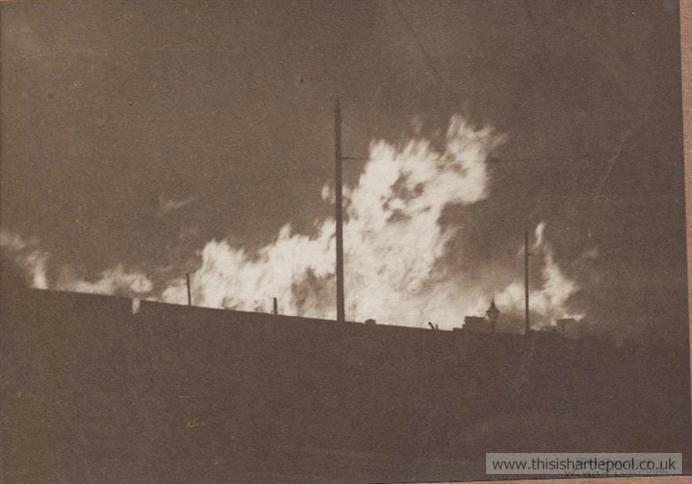 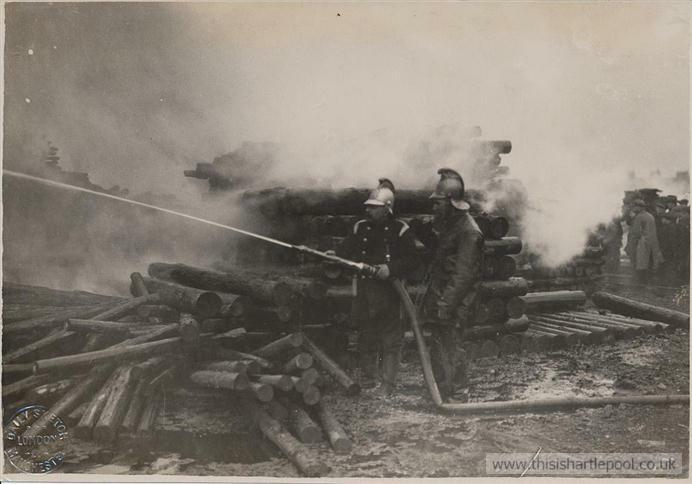 Beginning at around 1pm on 4th January 1922, the ‘’Great Timber Yard Fire’’ was, aside from the town’s bombardment by German forces in 1914, possibly the greatest disaster in Hartlepool’s history. 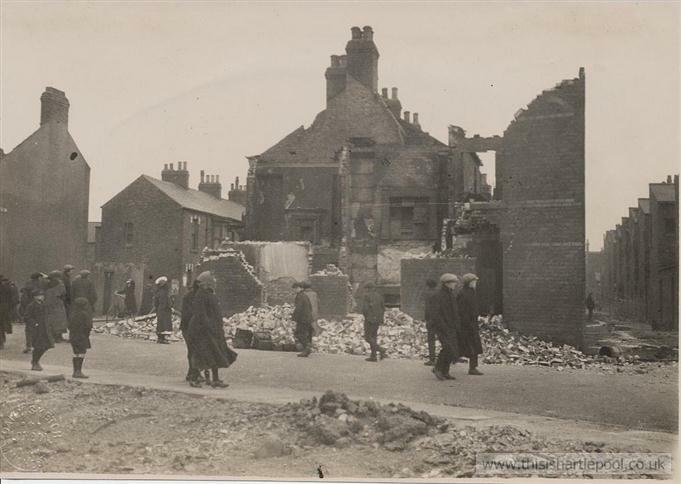 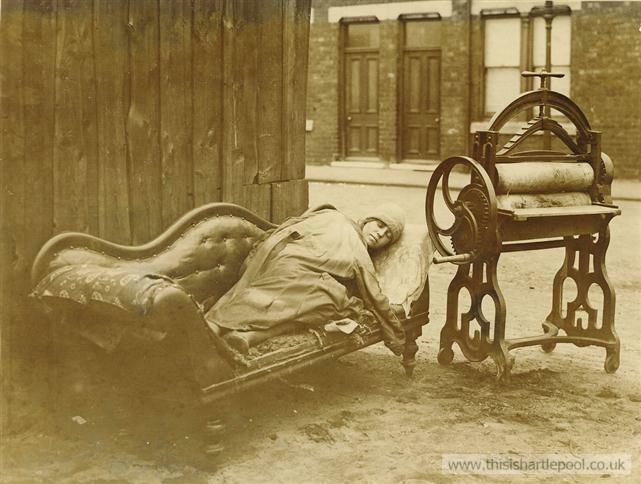 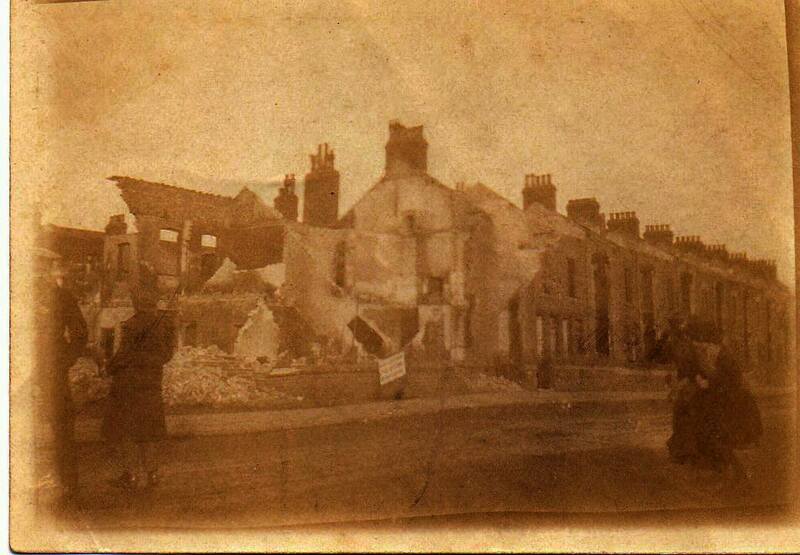 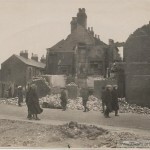 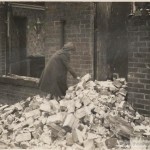 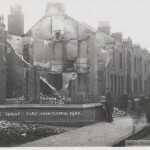 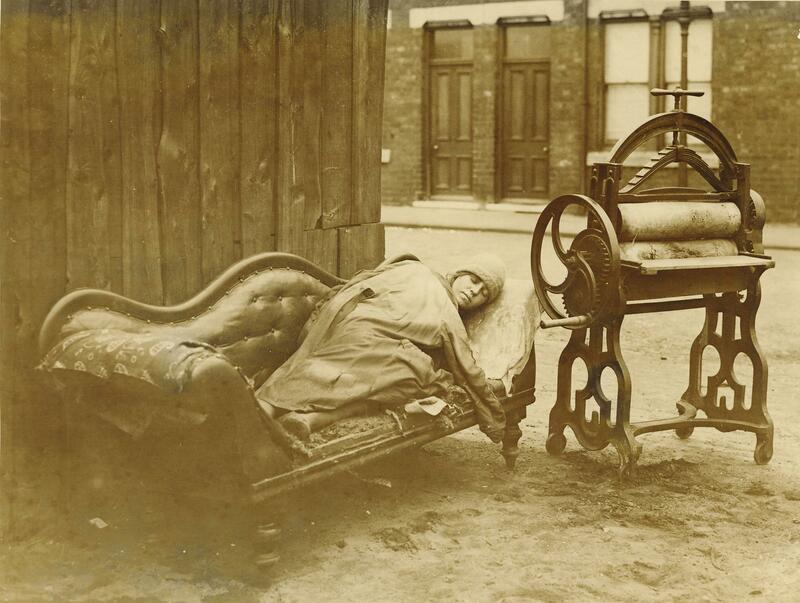 Allegedly seen as far away as Doncaster, it was reputed to have caused about 1 million pounds worth of damage and left over 80 people homeless. 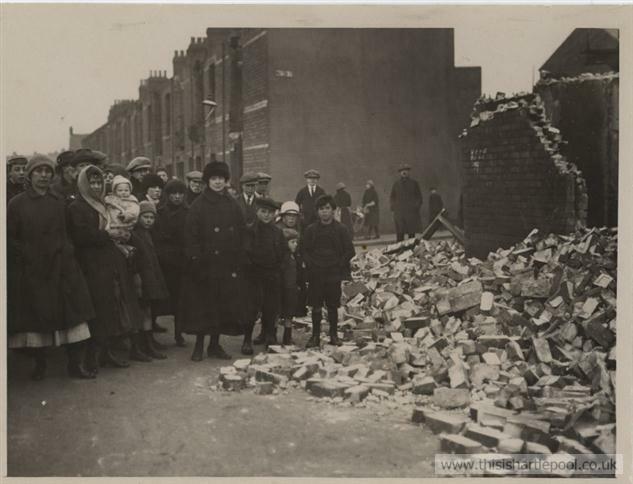 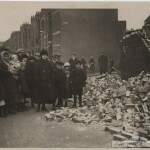 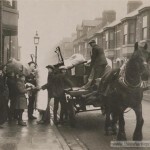 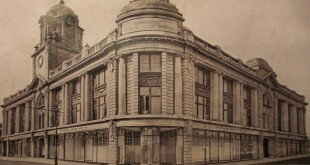 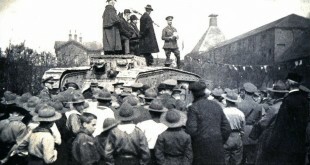 Such was the scale of the devastation that, along with donations from other parts of the region, the King and Queen even contributed £150 to the Mayor’s disaster fund and sent a telegram of reassurance to those who were affected. 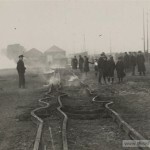 Although the cause of the fire has never been established, it was thought to have originated either from the spark of a locomotive, which was shunting in the area earlier in the day, or from some rotted fusing in one of the yard’s electricity cables. 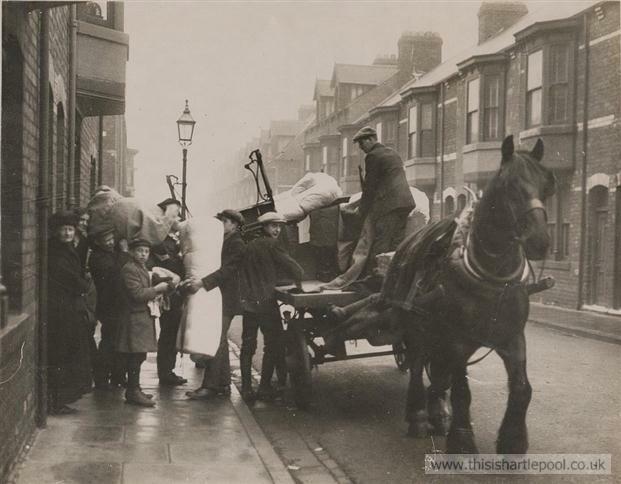 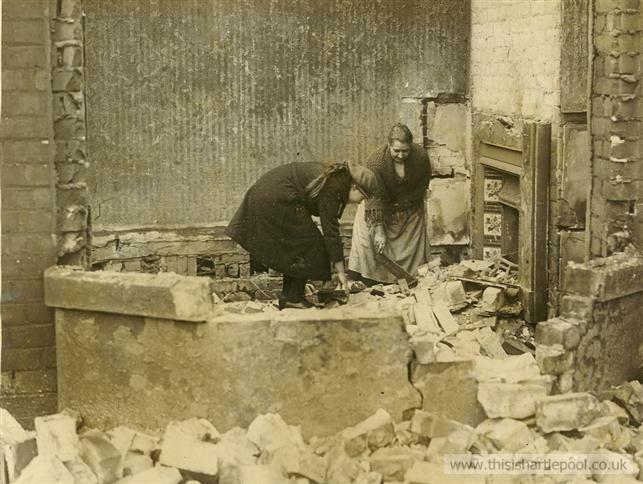 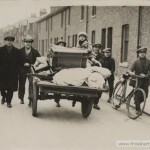 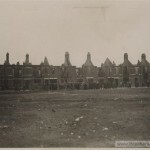 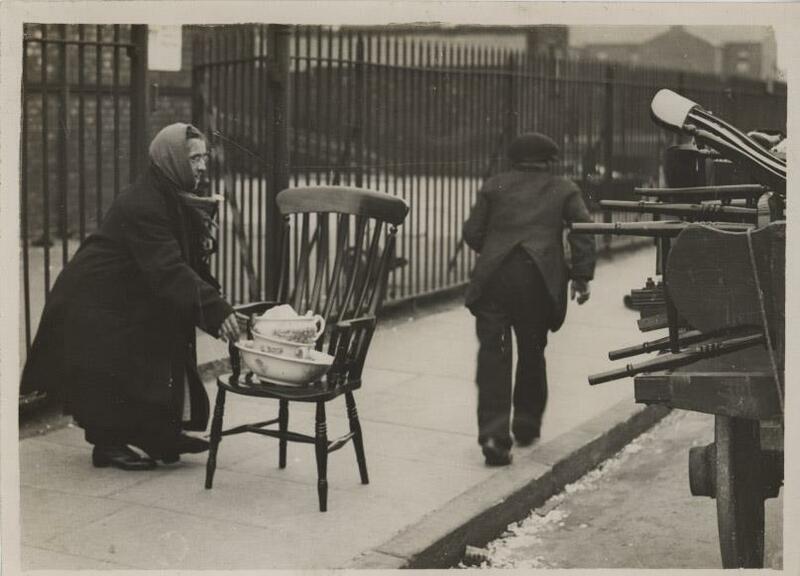 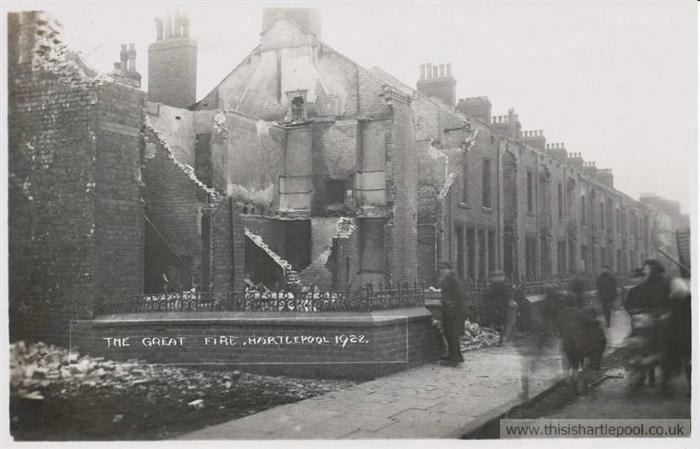 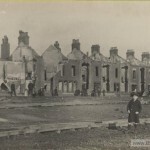 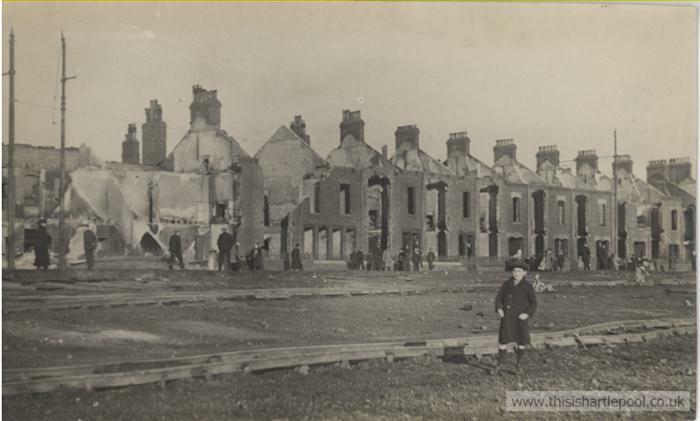 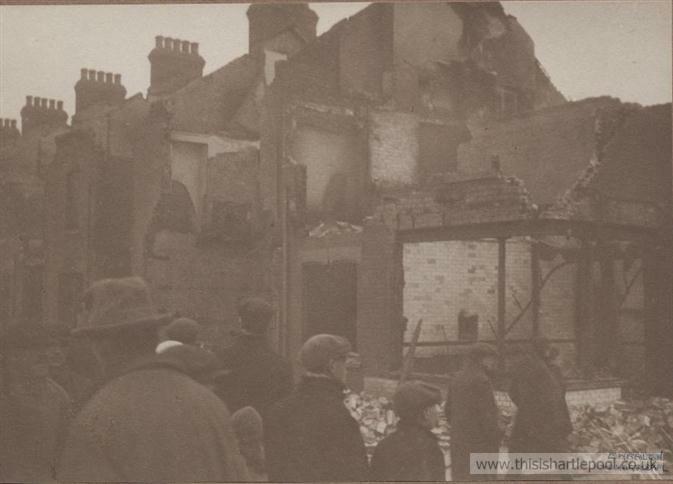 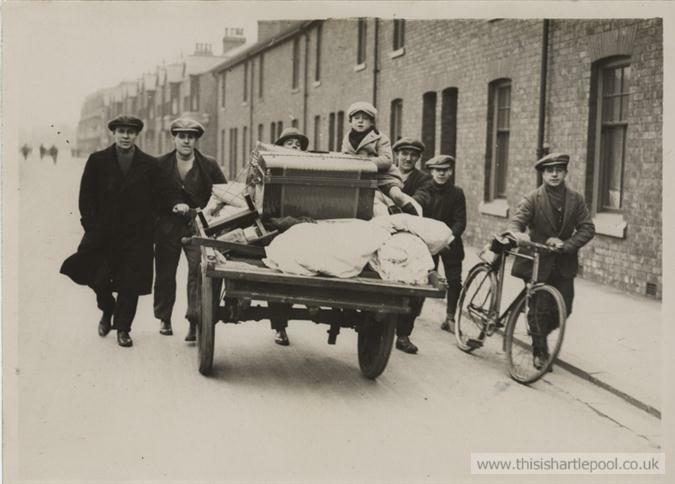 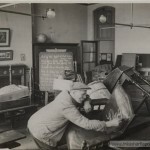 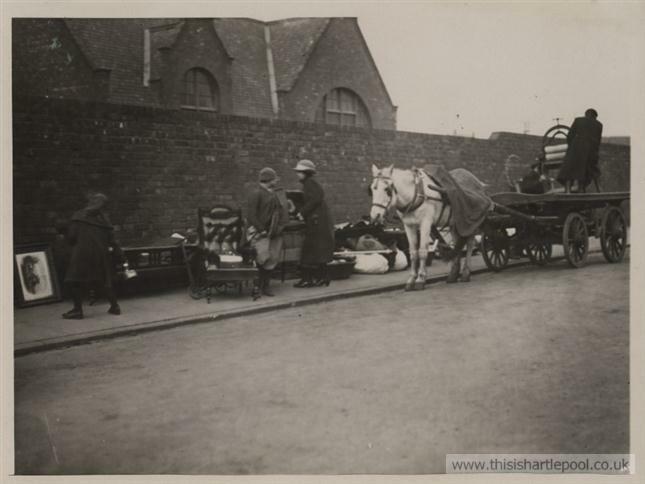 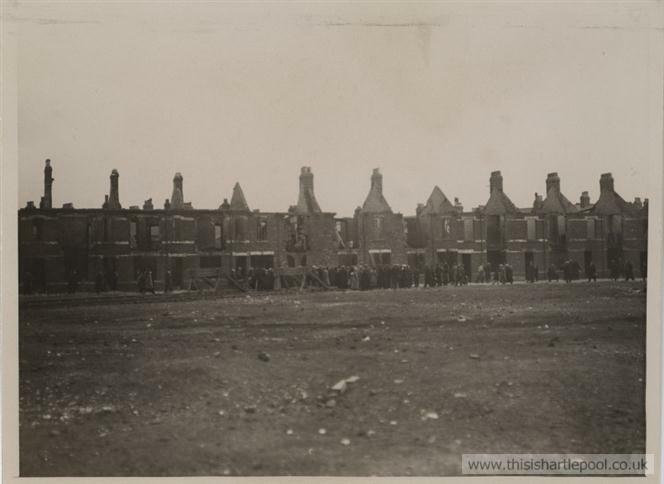 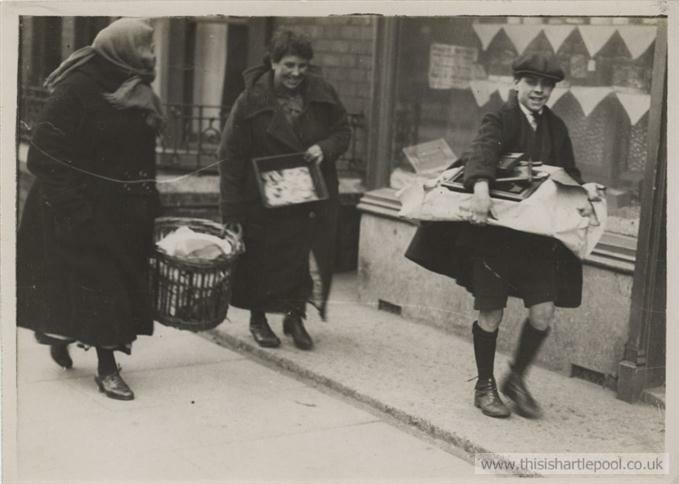 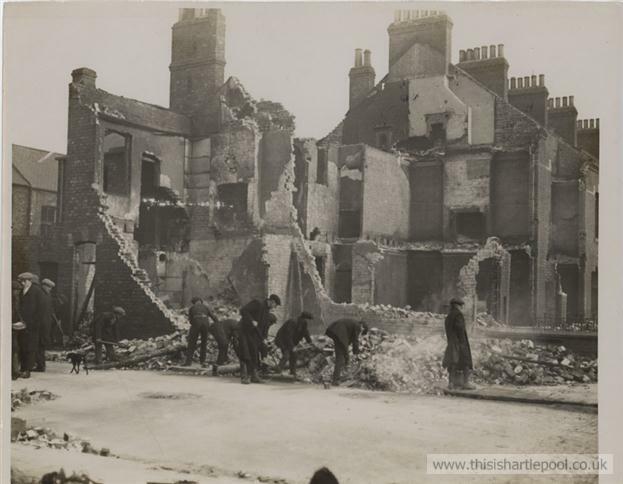 Whatever the reason, the high winter’s wind soon meant that the flames were threatening tenements on the neighbouring Union Street, despite the best efforts of fire-fighters which had been gathered from across the area. 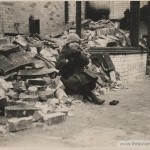 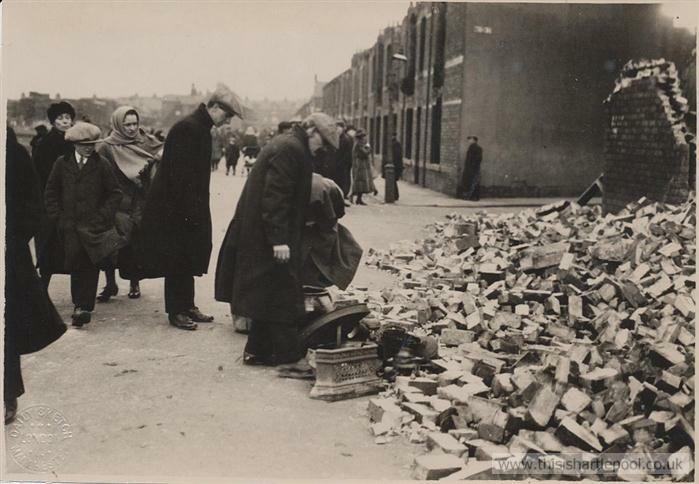 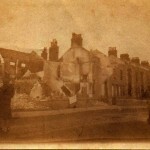 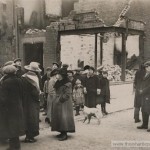 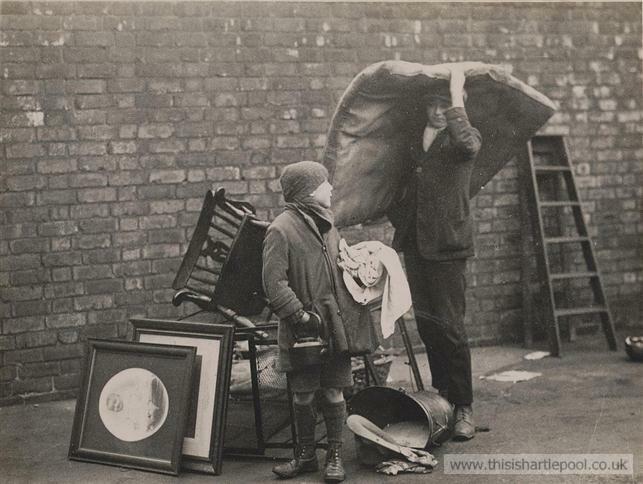 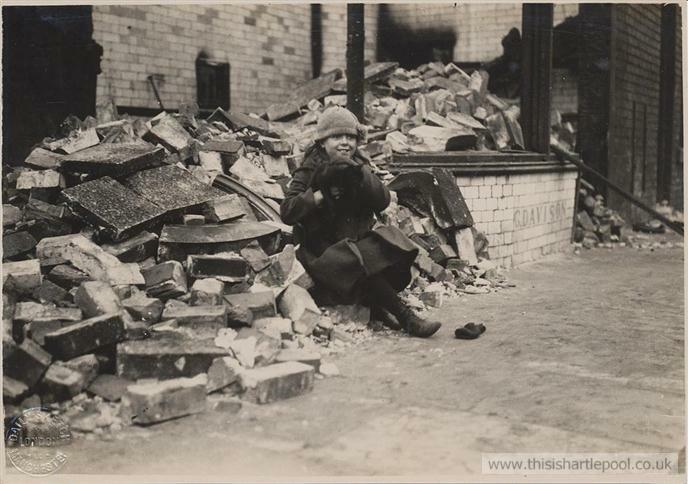 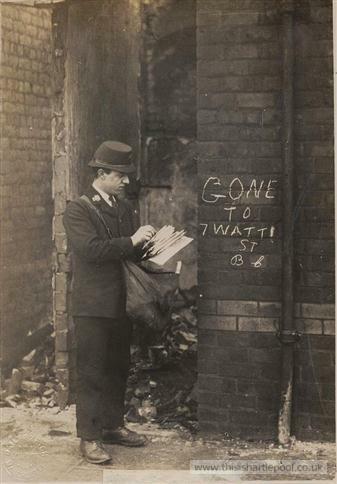 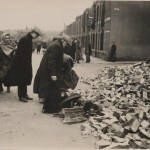 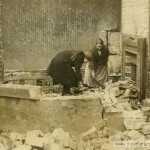 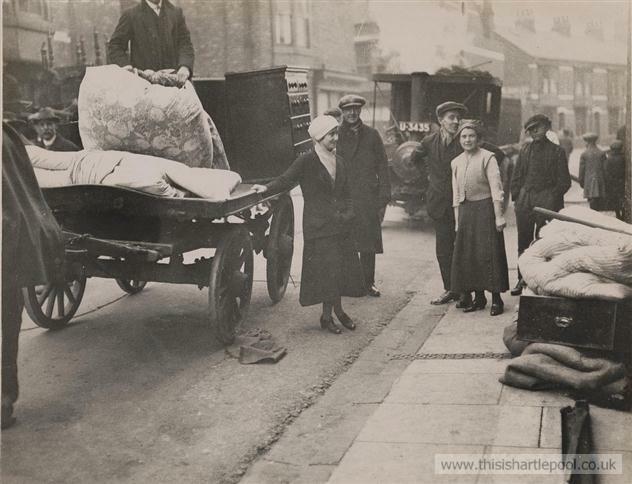 Thankfully, there was time enough to evacuate residents and rescue precious belongings, although many were still left virtually destitute during the blaze. 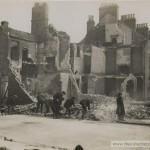 Indeed, even those household items and furniture which had been rescued were all to often not returned to their original owners, as items become lost or separated in the rush to clear the area before the heat made the surrounding roads impassable. 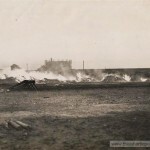 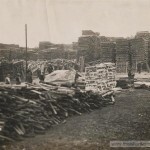 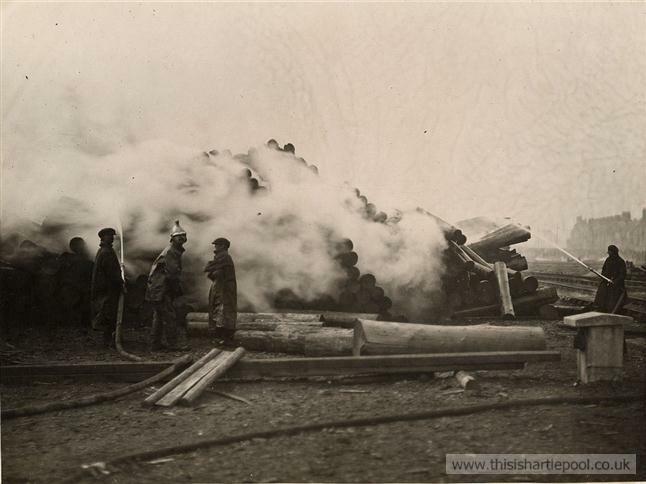 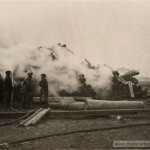 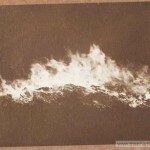 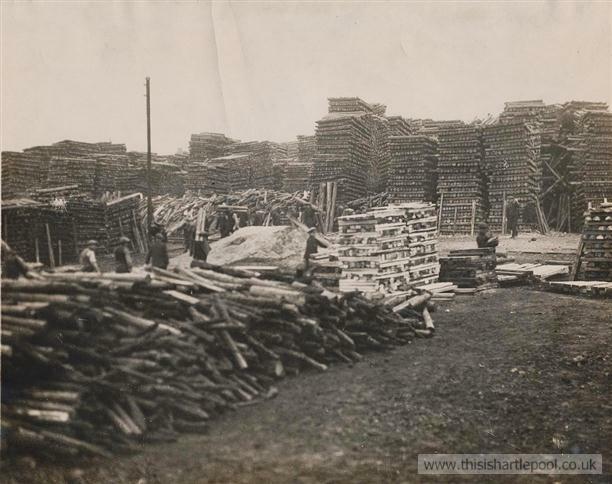 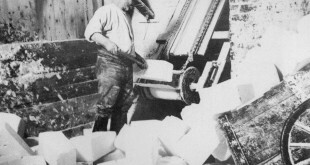 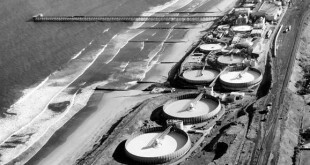 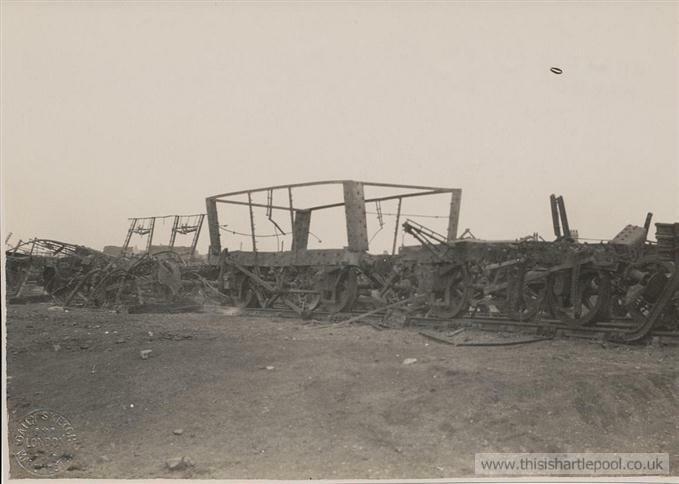 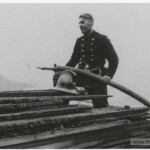 The nearby creosote works and port also had luck on their side when, at about four in the morning, the wind finally abated, and workers were finally given the chance to remove the stacks of timber that might fuel the fire’s spread, saving most of the town. 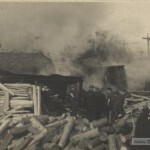 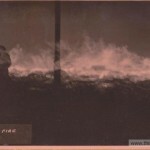 By 7 that morning, the fire was finally under control. 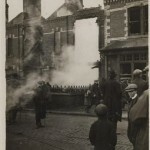 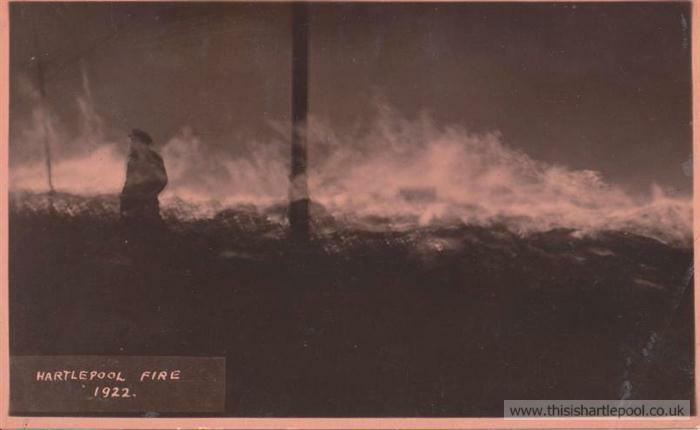 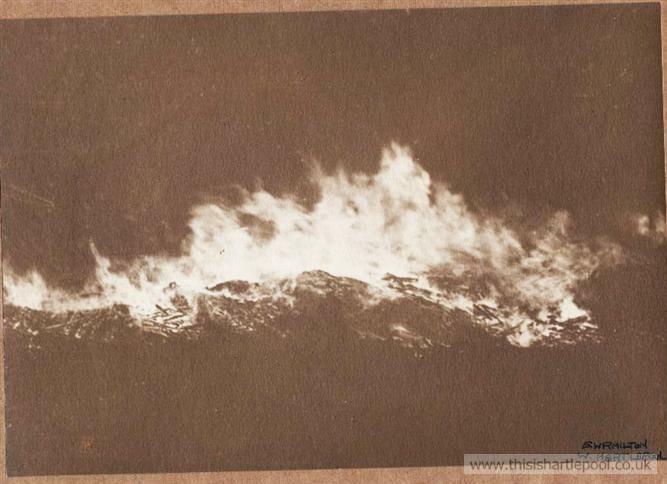 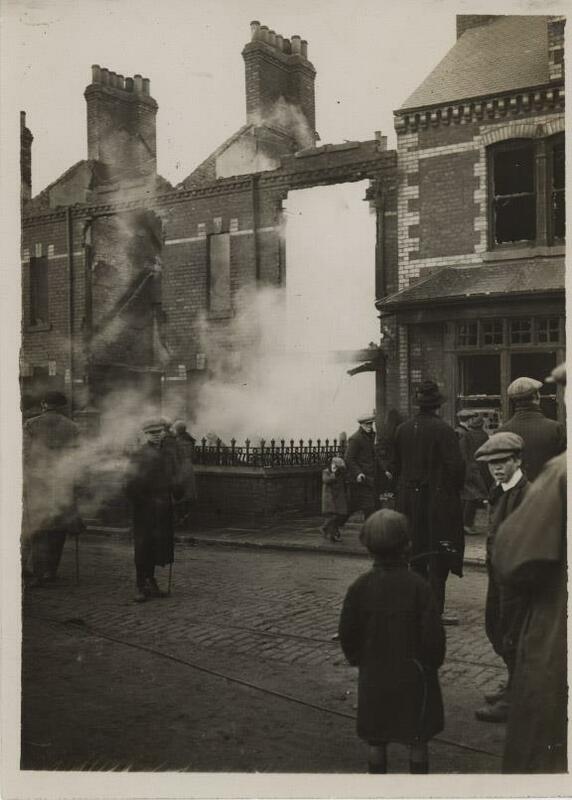 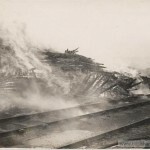 Amazingly, no one was killed during the inferno, although two fire-fighters had to be treated for injuries to their eyes, caused by embers which had been travelling in the wind. 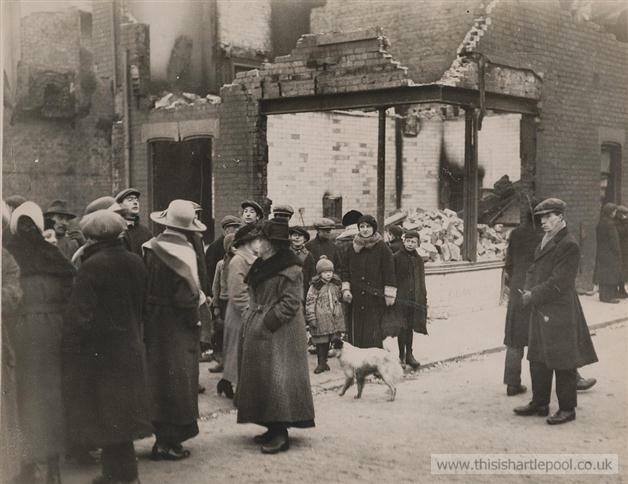 The victims of the fire quickly gained popular sympathy, with the Mayor’s disaster relief fund totalling over £1300 in just a few days. 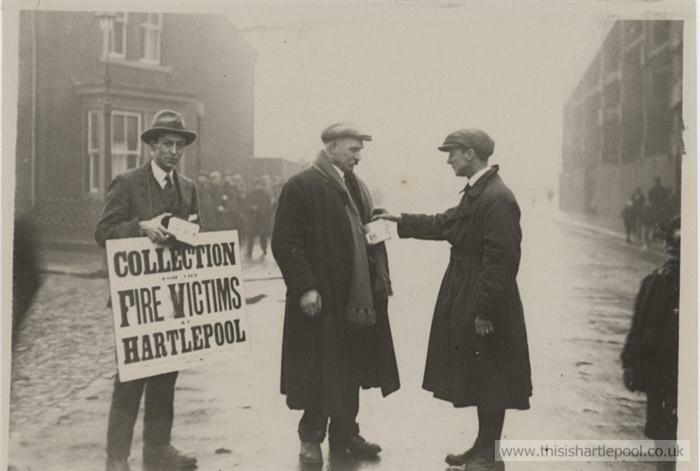 Within a year, this had amounted to £11 447, and was used to compensate the residents and businesses affected. 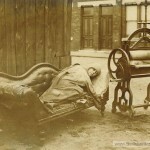 As always however, there were complaints of people abusing the system. 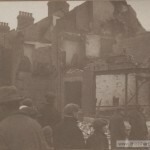 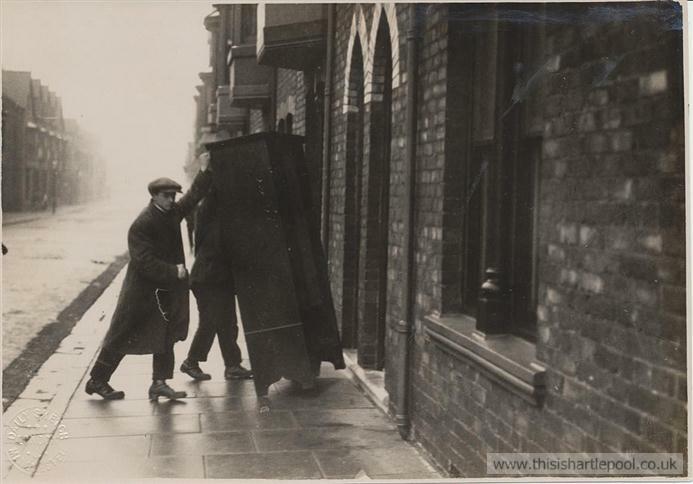 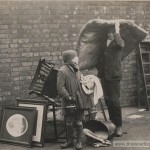 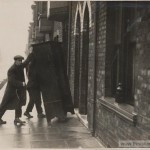 Stemming from a report in the local newspaper published soon after the fire, it was locally remarked that, even though only one house lost a piano, one was now owned by every home in Union Street. 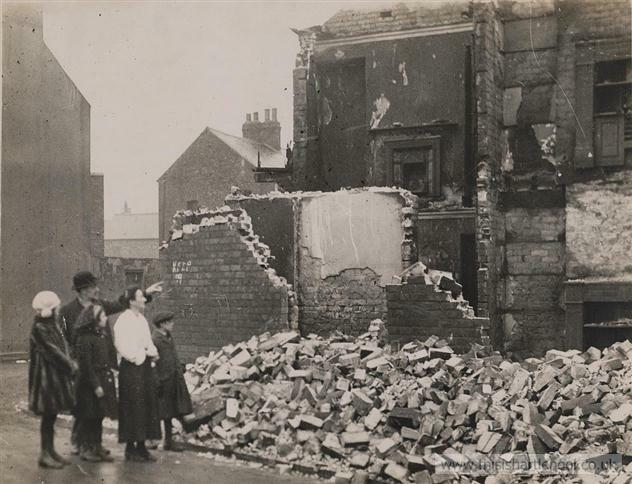 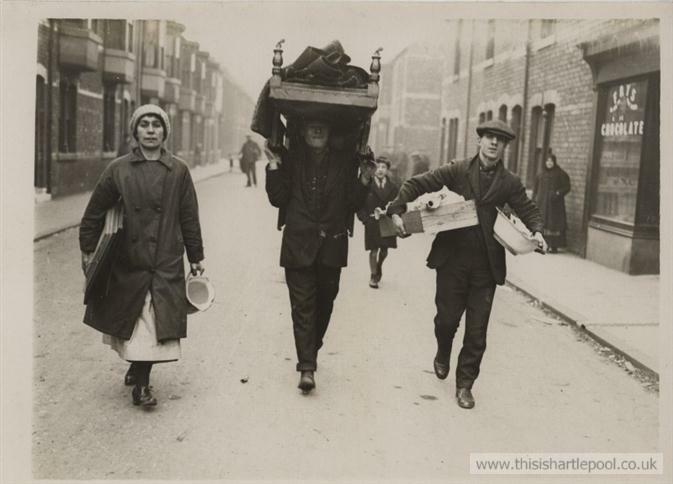 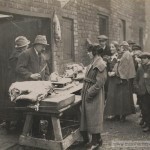 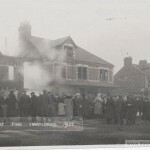 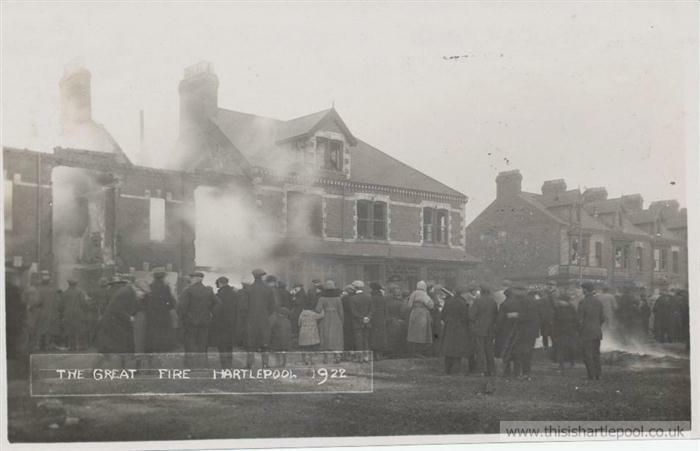 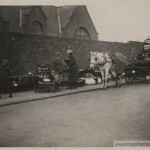 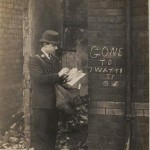 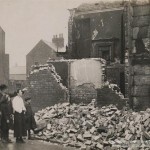 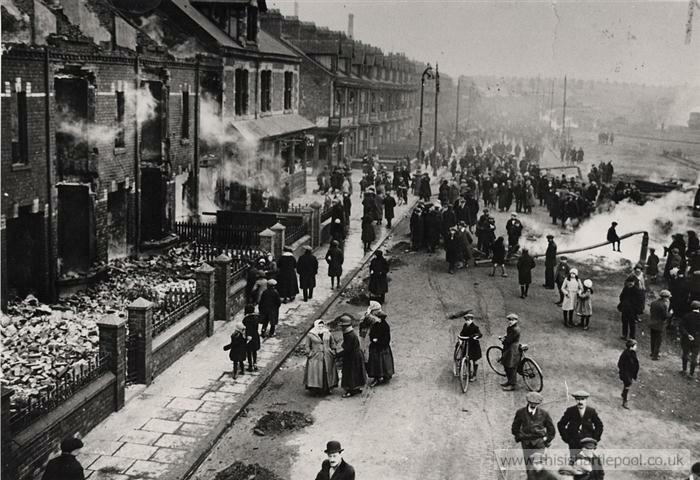 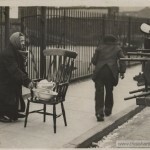 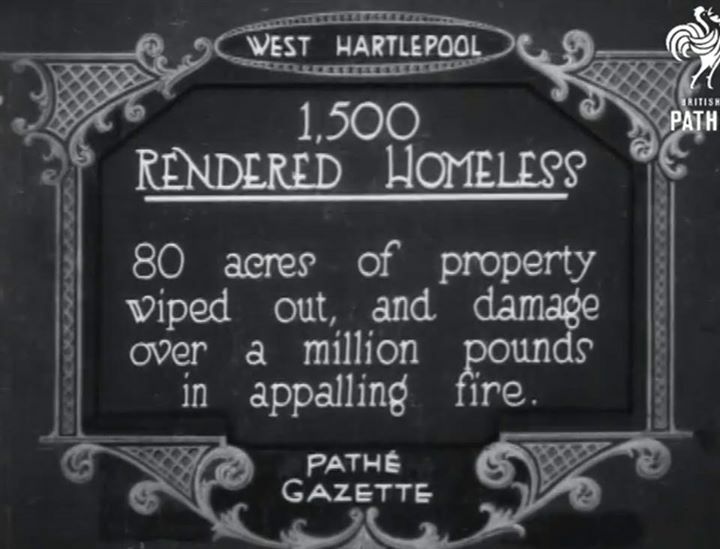 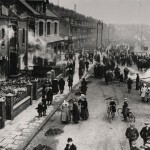 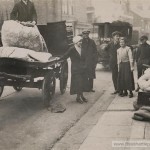 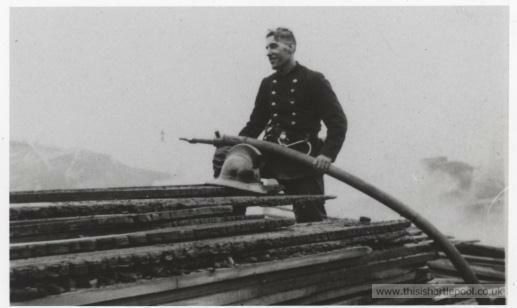 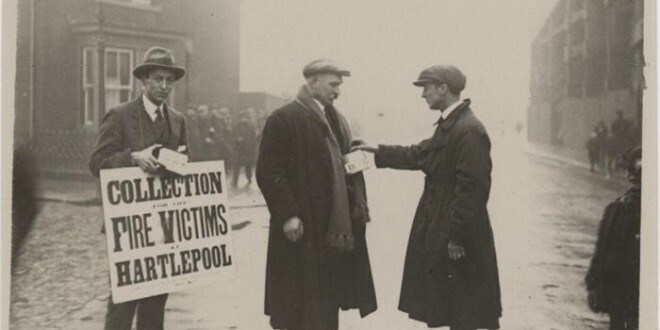 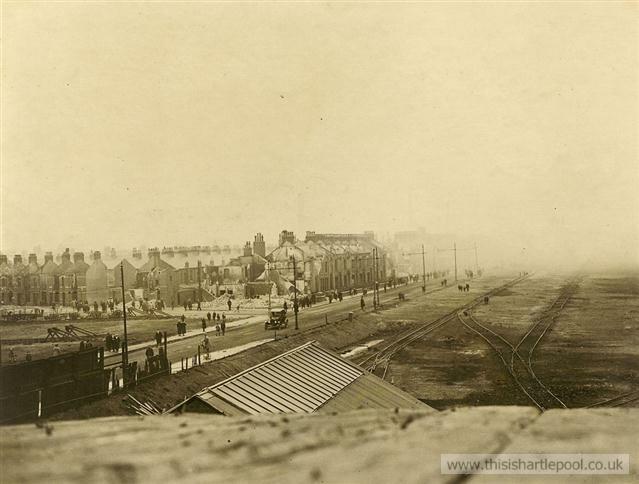 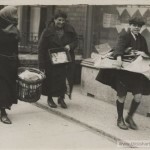 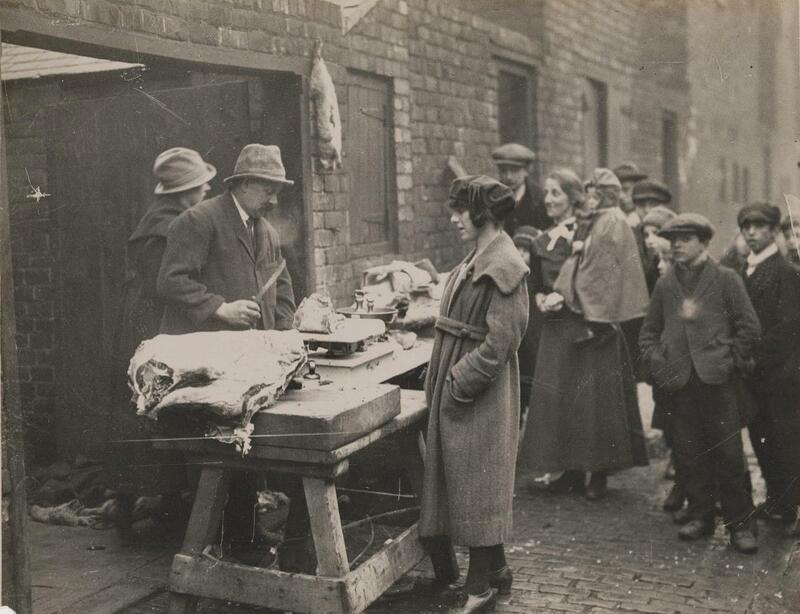 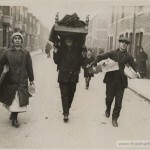 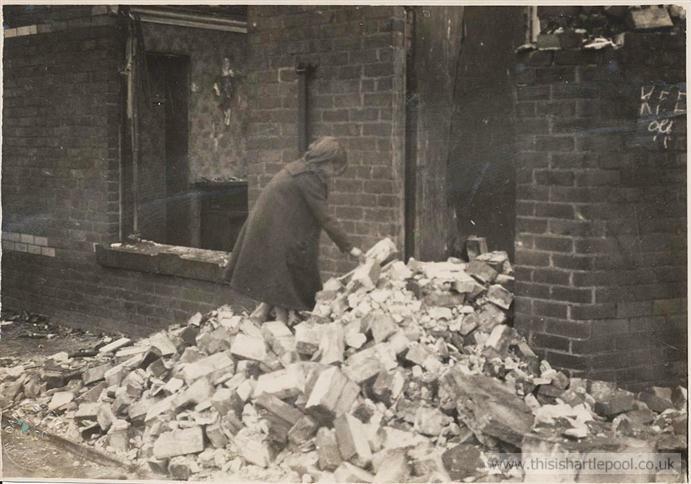 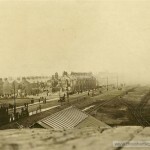 Yet, despite the seemingly flippant remarks, Hartlepool had certainly learned its lesson: on August 8th 1922 a lady was fined five shillings because smoke, flames and burning soot were issuing from her chimney in the direction of the timber yards. 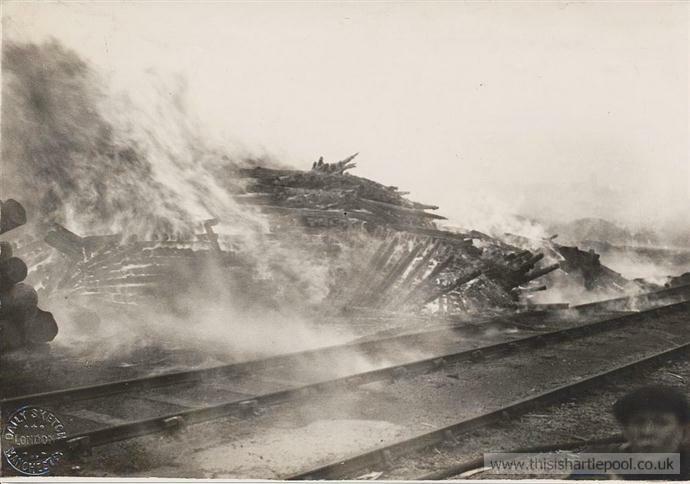 Another year later, and the North Eastern Railway Company’s precautions against a reoccurrence were still being criticised. 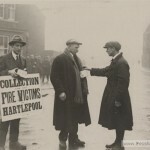 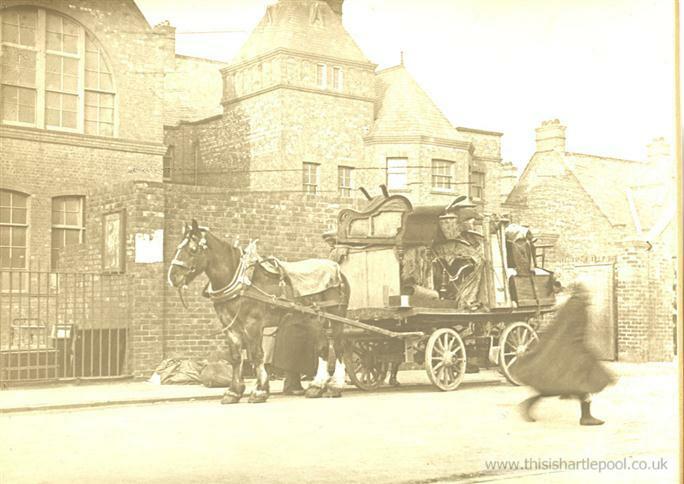 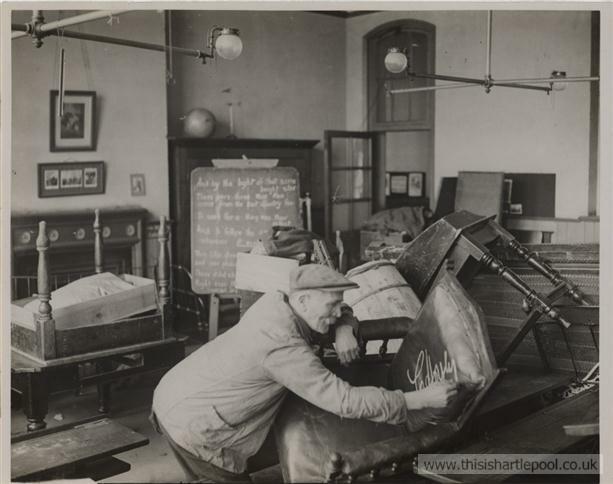 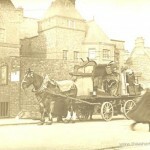 Hartlepool knew that it had only just escaped and it was not about to be caught out again.